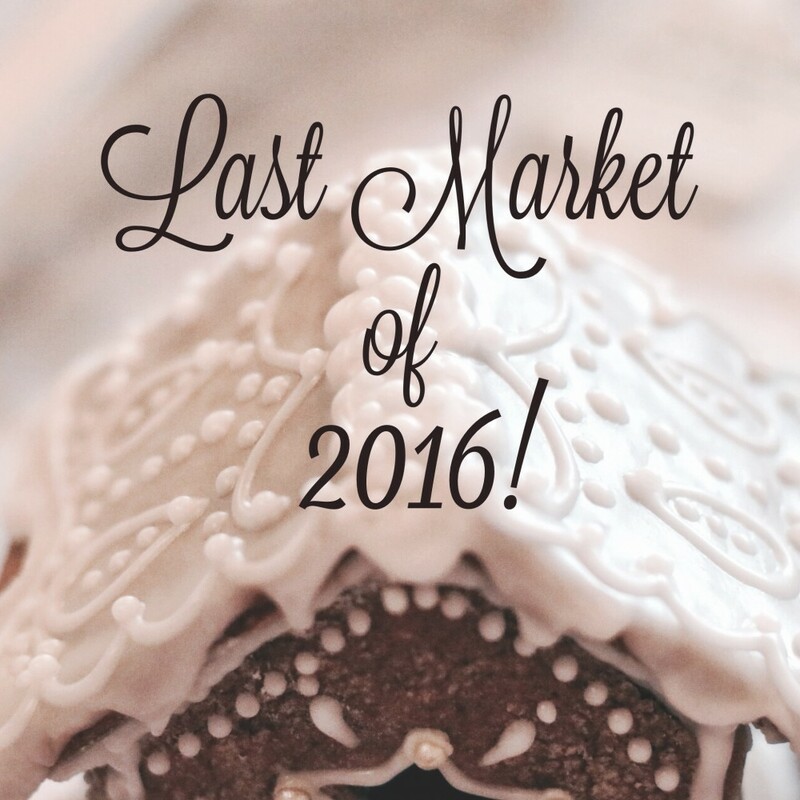 December 17th will be the 64th and FINAL market of 2016! At 1:00 pm tomorrow, we'll wrap up our 41st year. Planning for our 42nd year is already underway to ensure we continue to provide you with the best local products. There will be no markets in January or February, but we'll see you again in March! Reem's Kitchen has recently added some prepared foods to their current line of baked goods. You can still find your favourite cookies on their table, but you'll also find things like hummus (pictured) and samosas. If you'd like to try before you buy, Reem's Kitchen samosas (hot and ready to eat) will be available on the Market Meals menu tomorrow. It's possible that you haven't completed your holiday shopping yet, and it's also possible that you have a tea lover on your list. If this is the case, allow me to name a few vendors that can help. Dressed by Les - handsewn reusable tea bags (pictured here with a pretty turquoise button). Cuppa' T' - quality loose tea leaves in special RFM-only flavours (pictured). Grandpa's Garden - fruit honey. Zee-Bee Honey - plain and flavoured honey. You're welcome. FRESH PRODUCE: Frontier Gardens, J9's Tiny Farm, Miller's By-Gone Farm, Stellar Gourmet Mushrooms, and The Garlic Garden. RETURNING VENDORS: Ally's Specialty Baking, Asher Designs, Loon Creek Saskatoons (frozen saskatoons & raspberries), Lorraine's Kitchen, Mother Hubbard's Cupboard, Prairie Engraving, Rusty's Wild Rice, and The Garlic Garden. Happy Holidays and we'll see you in the spring!